Yay finally had the time to snap pictures for this review! As mentioned before, the colours in this pictures are only about 80% similar, because my camera can't capture 100%. 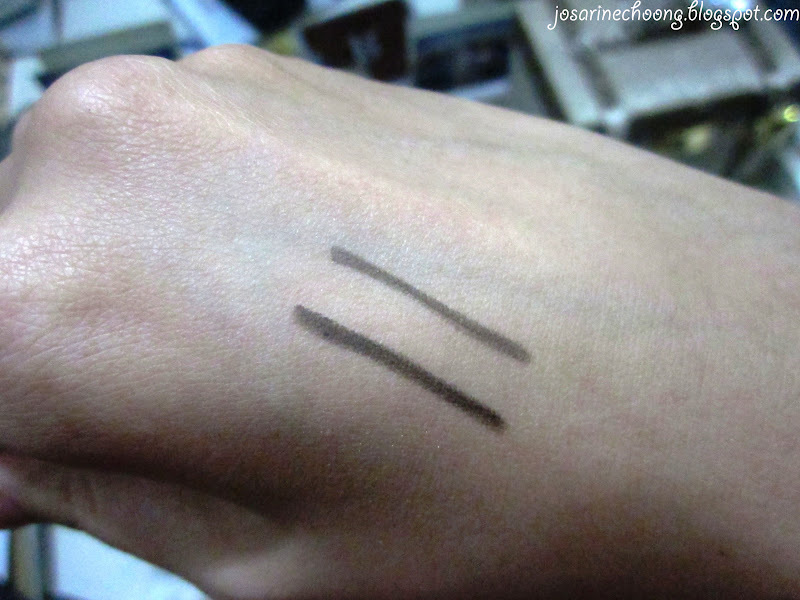 It comes with 12 colours, some are matte while others are a little shimmery. It also includes a black pencil eye liner, and the eye shadow sponge applicator. I would say it is perfect for everyday wear. From this picture, start from right to left, to see the colours according to the palette picture. Start from left to right when you refer to the palette picture. A close-up. 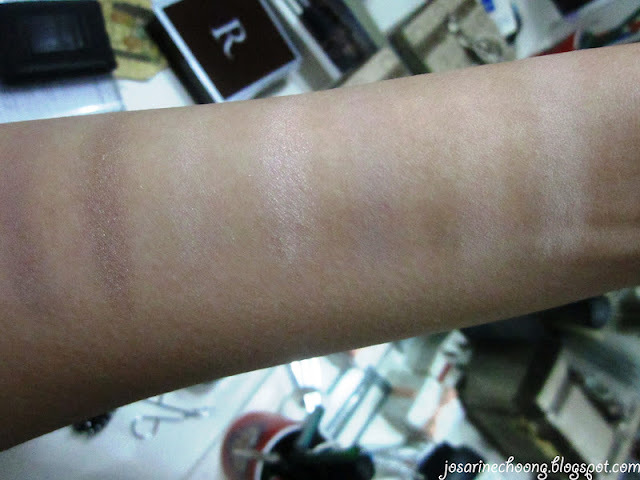 You can see that the lighter colours are quite close to skin tone colour. Whereas the darker colours are slightly more visible. The first line is the result of a one time stroke of the eye liner. The second line is the result of 2 strokes. Basically this eye liner is quite dark and easy to apply since it does not require much pressure for the eye liner to darken. Please excuse how white and pale I look in this picture, because other than me looking pale as usual, the bright lighting at the dressing table made it worse. 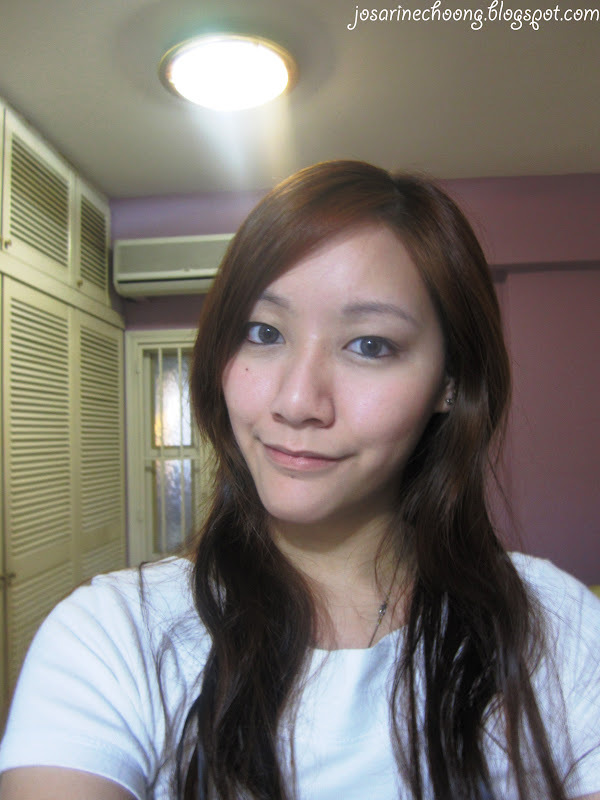 But anyhow in this picture, I have applied face powder and concealer only. 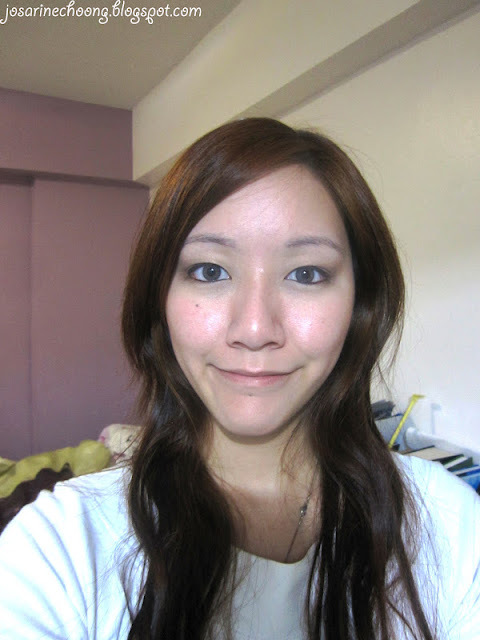 No foundation or BB Cream. Tadha! 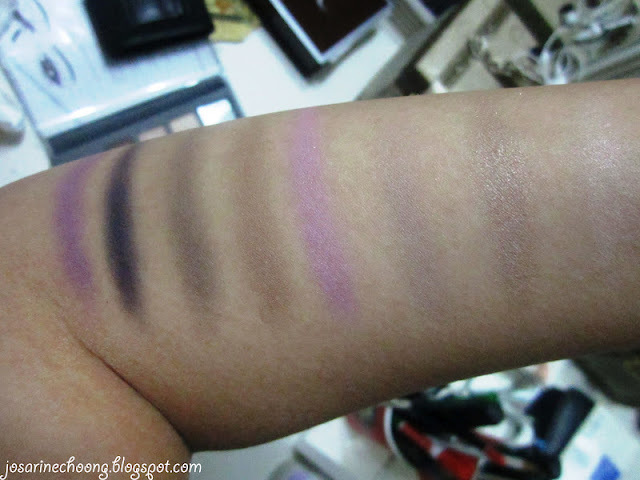 So this is how the eye shadow looks with flash. I used 3 colours, all 3 of the colours are brownish to greyish. I really like this tone because it is great for everyday wear, especially for day time, or even night for simple outings. Result without flash. 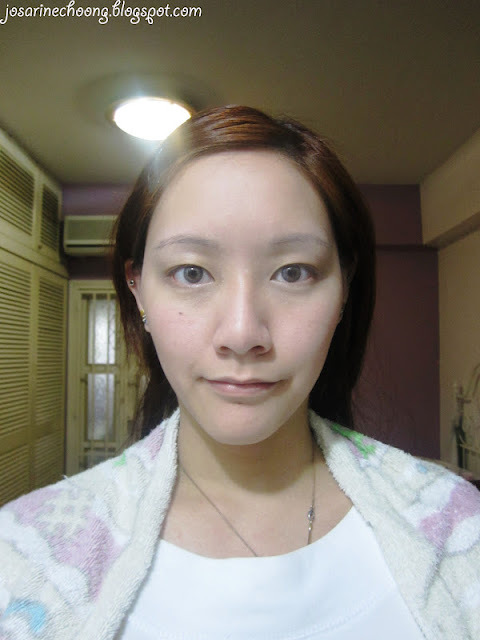 I also applied the eye liner, and a little bit of blush. 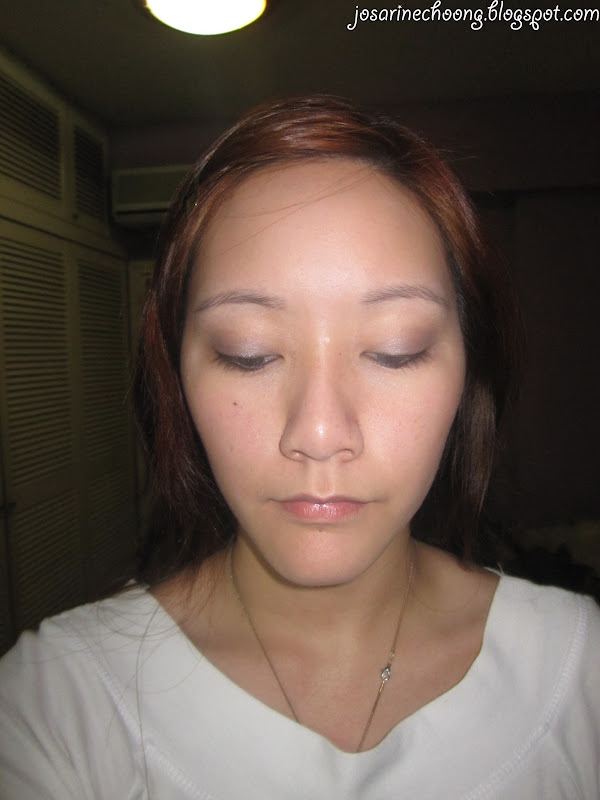 The colour of the eye shadow isn't very obvious in this picture because of the white light at the dressing table. But if you take a closer look, you can actually see the eye shadow a little. 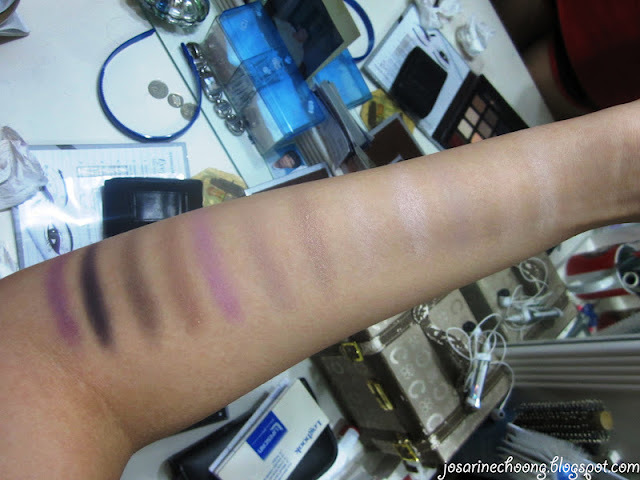 The colours that I used for this review is supposed to look more to natural than extreme, so it is okay if it isnt too obvious. But it looks enough for a natural beauty. I've yet to try the Purple which the colour is darker and more obvious, will do that soon hopefully. 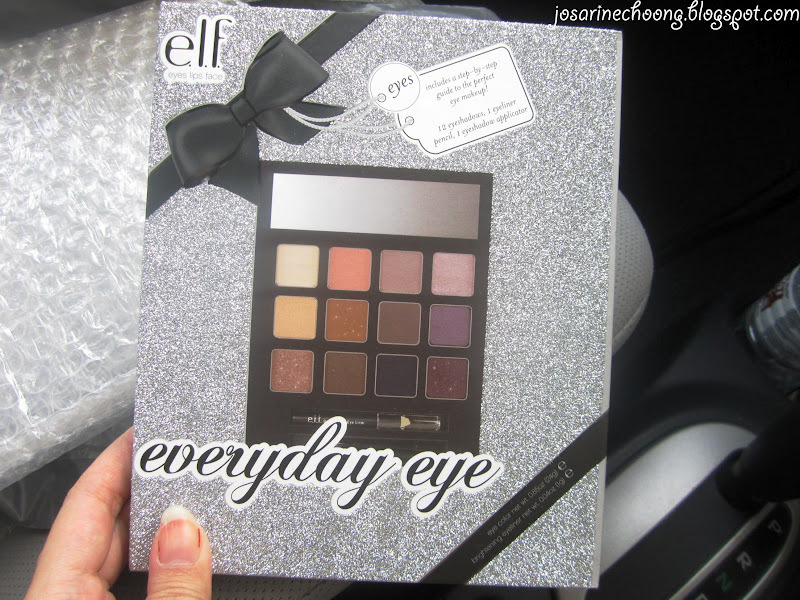 Anyways information about this eye shadow. Some of the colours are so close to skin tone and are light that I had to keep applying more for it to be visible. Pros: I like the colours, suitable for daily wear which is what I've been looking for. Colours last pretty long, especially if eye primer is applied. The size of the eye shadow is bigger than usual. Cons: Some colours are really light and close to skin tone. Also some of the colours are similar to others after appying. So here's my review, the only thing that annoys me is the part where I have to apply more than usual for colours to be visible. (For the lighter range colours only) other than that I am happy with this palette. 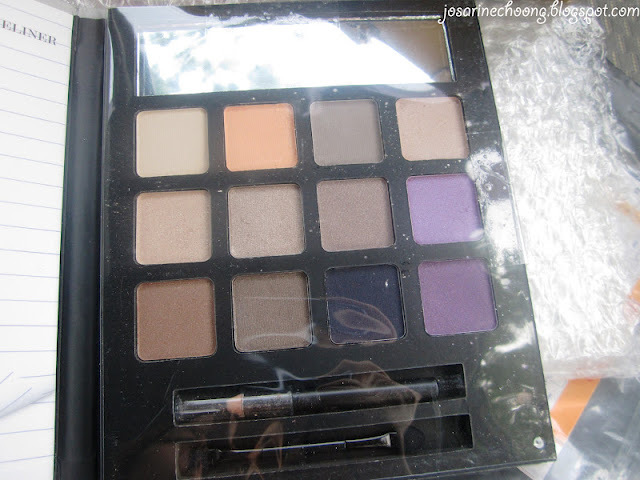 The palette looks so nice and soft, really good for everyday look :) Love it! @Nicole - I bought it from a Blogshop. The blogshop where I bought it from no longer has stock nor will re-stock. I would suggest that you Google for it, that's what I did. :) Im sure there are many cosmetic blogshops in Malaysia.